The range of the S-500 will be more like 600-800km. MOCOW, December 19. /TASS/. Russian President Vladimir Putin has ordered to approve the draft military doctrine of the Union State submitted by the Russian government. The appropriate document was posted on the official legal information website on Wednesday. "It is expedient to endorse the Military Doctrine of the Union State by a decree of the Union State’s Supreme State Council," the decree reads. The Belarusian Council of Ministers earlier endorsed the draft military doctrine of the Union State of Belarus and Russia and decreed to submit the document for consideration by the Council of Ministers of the Union State. The Union State’s military doctrine is being developed in accordance with the top-priority goals of the Union State’s development for 2018-2022. The document should reflect Minsk’s and Moscow’s views on the problem of ensuring the security of the entire Union State. The approval of its final version will make it possible to bring security laws in line with the current situation in the world. 2018 was rich in events and news related to the Russian defense industry. From the new weapons systems presented by Vladimir Putin, the discussion of the reality or unreality of the capabilities of which still continues not only in the Russian, but also in the foreign press, to the Vostok military maneuvers largest in the history of Russia, in which units of the Chinese armed forces also took part. From new contracts in the field of military-technical cooperation and the transition to payments in the national currencies of the purchasing countries to the transfer of the S-300 air defense missile system to Syria. From the start of construction of an innovative technopolis "Era" to the laying of the main temple of the Armed Forces of the Russian Federation. One of the main events of the outgoing 2018 for the Russian defense industry was, of course, the presentation by Vladimir Putin of the latest models of domestic weapons, which were worked on in a state of strict secrecy. The head of state spoke about new weapons on March 1, speaking in a message to the Federal Assembly. Among the presented novelties were the Dagger hypersonic missile system (can be placed onboard MiG-31BM fighter-interceptors), the Avangard controlled hypersonic combat unit, which can be installed like on Sarmat heavy ICBMs that will replace the R-7 missiles. 36M2 "Voevod", and on the ICBM RS-26 "Border", which may have a mine execution or be part of a mobile missile complex "Avangard". In addition, Putin announced a cruise missile with the Burevestnik nuclear power plant, an unmanned submersible with the Poseidon nuclear power plant and the Peresvet combat laser. The closest and most fully tangible at the moment is the air-based hypersonic Dagger rocket and the Peresvet combat laser. There is no doubt about the speedy implementation of the Avangard controlled combat unit, designed to equip modern Russian intercontinental ballistic missiles. Developments in this area were actively conducted in the Soviet Union and at the modern level of development of technologies and materials, their creation is absolutely real. But the announced underwater unmanned aerial vehicle "Poseidon", which may be the carrier of a nuclear charge, only in July, began testing. This development is included in the state armament program until 2027 and work in this direction, as well as on the creation of a cruise missile with a nuclear power installation on board, is still far from complete. It is precisely compact nuclear power plants that cause the most questions and skepticism around these two projects. At the same time, the Russian Dagger X-47M2 hypersonic aviation missile system is a formidable modern weapon, which is able to hit both stationary objects on land and ships: aircraft carriers, cruisers, destroyers, frigates. Due to the hypersonic speed and active maneuvering, the rocket is able to overcome modern anti-aircraft and missile defense systems of a potential enemy. From December 1, 2017, the complex is on experimental combat duty at the airfields of the Southern Military District. In February-March 2018, operational tests of the new missile complex, which is already called the Iskander aerial, began in Russia. The maximum declared speed of the rocket is 10 times the speed of sound, while it is able to maneuver throughout the entire trajectory section. To achieve the declared speed, the rocket must be accelerated by a carrier; therefore, the MiG-31BM fighter-interceptor is best suited for these purposes, and is able to accelerate to a speed of 3400 km / h at high altitude. It should be noted that the MiG-31BM long-range interceptor fighter, which was upgraded to the MiG-31K version (carrier of the Dagger missile), is deprived of the possibility of using standard weapons for other MiG-31 aircraft. From it, the ventral devices for the R-33 / R-37 missiles are dismantled. The second fully tangible weapon novelty is a complex of laser weapons, known as "Peresvet". Most of the information about this complex and its characteristics is classified, but experts assume that its main purpose is to perform anti-missile and air defense tasks. Also, experts note that the complex will be able to deal with the unmanned aerial vehicles of the enemy and supplement and insure the deployed air defense systems while repelling massive air strikes. The equipping of the Russian Armed Forces with the Peresvet laser complexes began in 2017, and on December 1, 2018, the laser complexes took over the combat duty. The active phase of the Vostok-2018 maneuvers took place from September 11 to September 17 at once on five combined-arms ranges, four ranges of the Air Force and Air Defense Forces, as well as in the waters of the Bering Sea, the Sea of ​​Japan and the Sea of ​​Okhotsk, the Department of Information and Mass Communications of the Ministry of Defense of the Russian Federation reported. . It should be noted that such large-scale combat training of troops in Russia has not yet been. The exercises were comparable to the West-81 maneuvers conducted in the USSR, but in some ways, according to Defense Minister Sergei Shoigu, they were even bigger than the Soviet ones. The country's defense minister noted that in the history of the Russian army, the Vostok-2018 maneuvers were the most ambitious training and inspection of the troops. In total, 300,000 troops, more than 1,000 aircraft, helicopters and UAVs, up to 36 tanks, armored personnel carriers, infantry fighting vehicles and other vehicles, as well as up to 80 ships and support ships of the Russian fleet were involved in the maneuvers. Representatives of the military contingent of the People’s Liberation Army of China totaling up to 3.5 thousand people took part in the main draw of the exercise, which was held at the Tsugol training ground of the Eastern Military District of Russia. In total, as part of the ongoing maneuvers, about 30 military echelons arrived in Russia by rail, which delivered more than 400 units of PLA combat and special equipment. The military contingent of the Armed Forces of Mongolia also took part in the exercises. According to General of the Army Sergei Shoigu, the exercises allowed to raise the level of field, air and sea training of the personnel of the Armed Forces of Russia, to work out in practice the actions of the groups in the Eastern direction and in the ocean-maritime areas that are operational for the country. A number of events can be called the main result of 2018 in the sphere of military-technical cooperation - Military-technical cooperation. Among them, the Triumph S-400 contract signed with India for the delivery of the S-400 long-range anti-aircraft missile system comes in first place. Negotiations on this contract have been going on for several years. It is expected that complexes worth more than five billion dollars will be delivered to India. This transaction was the largest in the history of Russian defense exports. In addition, Moscow and Delhi were able to sign a number of contracts in the defense sector, which include the delivery of another frigate of Project 11356 to India. The parameters of the concluded defense contracts were not disclosed, but according to unofficial information, the amount of the contract for the supply of two ready-made warships is about $ 950 million . The frigates will be produced by the United Shipbuilding Corporation (USC), which plans to deliver the first ships under a new contract within three years. Not only the contracts were successful for the Russian Federation in the military-technical cooperation sphere: at the end of November 2018, a source from RIA Novosti reported that Russia, with its Igla MANPADS, was able to win an Indian tender for the supply of short-range air defense systems dollars, but the official confirmation of this information, the agency does not yet have. If we talk about the general prospects of military-technical cooperation, then, according to Alexander Mikheev, the head of Rosoboronexport, the demand for domestic weapons in the world is only growing. According to the official, Rosoboronexport’s order book has recently surpassed $ 55 billion, a significant proportion of which was generated through contracts with Arab countries. In 2018 alone, Rosoboronexport signed contracts totaling about $ 19 billion, which is almost 25 percent more than it was signed for the whole of 2017. Important for the Russian defense sector is the refusal of payments in dollars in military contracts. The fact that Russia will no longer use the calculations in dollars in large trade contracts, in an interview with RBC said the Minister of Industry and Trade of Russia Denis Manturov. For example, the delivery of ZRS S-400 Triumph is paid in rubles or in national currencies of the purchasing countries. According to Manturov, in national currencies, in particular, China, India and Turkey pay. According to the Minister of Industry, a similar step with the transition to settlements in national currencies removes some of the restrictions associated with the dollar for settlement. Earlier, the head of the Federal Service for Military-Technical Cooperation (FSVTS), Dmitry Shugaev, noted that working with the dollar in the field of military-technical cooperation is "almost impossible." The official explained this by saying that the banking sector is blocking or freezing payments in dollars. At the same time, Industry Minister Denis Manturov noted that, despite the sanctions, Russia is not breaking contracts for the supply of arms. According to the publication Lenta.ru , in early October 2018, a contract was signed with India for five billion dollars. Under this contract, the country will receive five S-400 regiments. Turkey should get 4 divisions of data of the air defense missile system, the contract amount was $ 2.5 billion, the agreement was signed in December 2017. China has previously acquired 6 divisions of the S-400 ZRS, totaling more than $ 3 billion. Denis Manturov clarified that barter schemes, when it was possible to pay for enterprises "either with down jackets or with Chinese stew", already took place in the nineties. Currently, these schemes, according to the minister, are fortunately not used. In the fall of 2018, Russia donated to Syria three divisions of the S-300PM anti-aircraft missile system consisting of eight launchers each (24 launchers). This was reported by TASS , citing its military-diplomatic sources, the transfer of the complexes was completed on October 1, 2018. “This equipment was previously in service with one of the anti-aircraft missile regiments of the Russian Aerospace Forces, which was re-equipped with the S-400 Triumph system. The equipment transferred to the Syrians was overhauled in Russia, it is fully operational and able to carry out the combat missions assigned to it, ”said an agency source. Together with the launchers, the Syrians also received mobile ammunition in the amount of more than 100 anti-aircraft guided missiles at each of the assigned divisions. According to experts, the S-300 is able to hit modern and promising aircraft, including vehicles made using stealth technology, to shoot down tactical and operational-tactical missiles, medium-range ballistic missiles, and also cruise missiles. strike complexes and radar patrol and guidance aircraft. The main difference of the S-300PM modification (export version - S-300PMU-1) is the ability to use medium-range 48N6 anti-aircraft missiles (export version - 48N6E), which can shoot down enemy planes at a distance of up to 150 km. The reason for the transfer of Syrian anti-aircraft missile system S-300 was the tragic incident that occurred on September 17, 2018, when the Russian Il-20 reconnaissance aircraft was shot down by a Syrian anti-aircraft defense while repelling an attack from the Israeli air force that attacked targets in the province of Lattakia . The Syrian rocket of the C-200 complex got into the IL-20 of the Russian VKS; as a result, all 15 Russian soldiers who were aboard the aircraft were killed. The Russian defense ministry blamed Israel for what happened, the defense department told that Israeli military pilots (4 F-16 fighters) were hiding behind a Russian plane, exposing it to the blow of Syria’s air defense systems. In the autumn of 2018, the work of the military innovation technopolis (EIT) “Era” began. It is planned that the technopolis located in Anapa will reach its full working capacity in 2020. VIT "Era" is located on the Black Sea coast and covers an area of ​​17 hectares. According to the Department of Information and Mass Communications of the Ministry of Defense of the Russian Federation, the infrastructure of a new technopolis combines the functions of an educational and scientific organization, pilot production and a test site. This allows in one place to carry out all the stages of creating new types of weapons: from conducting exploratory research to creating prototypes and fundamentally new models, doing so as soon as possible (up to three years). It is reported that the main focus of the scientific activity of the Era technopolis will be on the development of defense technologies. However, it is planned to work to identify emerging commercial technologies that are potentially interesting for the Ministry of Defense, as well as to assess the potential of their use in the interests of the Russian Armed Forces. Also here they will be engaged in the identification of technologies that are either still being created or require significant adaptation for military needs. An important activity of the VIT "Era" will be the study of the capabilities of artificial intelligence technologies and its use in the military sphere. Also here they will work on future medicine and the development of unmanned technology. It is known that work in “Ere” will be carried out in 8 main areas: IT systems and automated control systems; computer science and computing; Information Security; robotics; technical vision and pattern recognition; energy supply technologies, life support equipment and machines; bioengineering and biosynthetic technologies; nanotechnology and nanomaterials. Currently, the process of manning the technopolis is underway. In total, up to 2,000 new jobs should appear in the technopolis by 2020. In addition, since July 2018, four scientific companies with a total of 198 specialists have begun work here, in the future their number may increase. Good living conditions have been created for Era employees, about 1,400 apartments located on the seashore, as well as several educational centers have already been built. On the territory of the technopolis there is an indoor swimming pool, a sports complex, an Ice Palace, gyms. In 18 operating laboratories of the scientific and educational sector, today more than 600 units of various unique laboratory and test equipment are used, which are involved in the implementation of 40 planned innovation projects. It is known that 37 enterprises were housed in the laboratory cluster, including both the large Russian defense concerns Sukhoi and Kalashnikov, and young research start-up teams. In September, the main temple of the Armed Forces of the Russian Federation was laid, which they are going to build in the Patriot park not far from Kubinka near Moscow. The temple is planned to be built on the 75th anniversary of the victory in the Great Patriotic War. It is known that the temple complex, designed in the monumental Russian-Byzantine style, will be the third highest Orthodox church in the world. The planned height of the temple - 95 meters, the total area of ​​the building will be 11 thousand square meters, this will allow the temple to accommodate about 6 thousand people. According to the creators, the temple will symbolize the spirituality of the Russian army, which raises the sword only to protect their homeland. According to official information, the construction of the temple is carried out only on voluntary donations, for their collection was specifically created charitable foundation " Resurrection ". According to the creators of the temple, the history of our country is inextricably linked with the history of the construction of churches: memorial signs were erected, chapels, temples, monuments and even Orthodox architectural ensembles were erected in memory of defenders of the Fatherland. It is planned that the main temple of the Armed Forces of the Russian Federation will be able to unite all Orthodox believers in the military.At the same time, the temple will become a spiritual, educational, and educational-methodical center not only for the military, but also for all Orthodox priests and citizens of our country. Also, a school of military priests will be opened at the temple and the institute of sisters of mercy will be revived. On the territory of the temple complex in the Patriot park a universal multimedia museum and exhibition complex “The Spiritual Army of Russia” will be built, the unique exposition of which will tell about different episodes of the heroic glory of the Russian army. On the images presented in the presentation on the official website of the Russian Ministry of Defense, the building of the temple is painted in khaki color. The military church will have four side chapels, each of them will be dedicated to a saint who is the patron saint of one of the branches of service and types of the Armed Forces of Russia: the Chapel of St. Elijah the Prophet - patron of the Airborne Forces and the Russian Aerospace Forces; The chapel of St. Barbara the Great Martyr - patroness of the Strategic Missile Forces; The side chapel of St. Andrew the First Called - patron of the Russian Navy; The chapel of St. Alexander Nevsky - the patron of the Land Forces of Russia. According to the Minister of Defense Sergei Shoigu, the construction of the temple is proceeding as planned: the foundation has been erected, the works of designers and artists have passed to the final stage. As reported by RIA NovostiThe minister said that the steps of the main temple of the Armed Forces of Russia will be cast from Wehrmacht trophy equipment. He told about this on Monday, December 24, at a meeting of the public council of the Ministry of Defense of Russia. Shoigu explained this decision by saying that the leadership of the military department wants every square meter of the temple to be symbolic. Only in 2018, the Armed Forces of the Russian Federation adopted and finished the cycle of state tests 56 types of new technology. About this on Saturday, December 22, said the Deputy Minister of Defense of Russia Dmitry Bulgakov. In the air of the TV channel "Russia-24" Army General said: "There are many new products. In 2018, 35 new weapons and military equipment were adopted. According to 21 samples, only yesterday and the day before yesterday they reported that state tests had ended. This is plus 21 samples of weapons and military equipment. ” At the same time, Dmitry Bulgakov clarified that in total in 2018 more than 5 thousand units of new equipment had arrived in the army. In addition, the military received more than 8 million “items of clothing and equipment”, in order to provide personnel with uniform, more than 700 thousand tons of food for food and 2.5 million tons of fuel.According to the army general, the serviceability ratio of vehicles in the armed forces of the Russian Federation is now 94 percent. The new AK-12 and AK-15 caliber 5.45-mm and 7.62-mm caliber were adopted by the Russian army. Model AK-12 should come in the Russian army to replace the "most important" machine gun AK-74M. The innovations of Russian armaments also include the automated sound-thermal artillery reconnaissance complex "Penicillin", which tests ended in November 2018. The complex allows you to receive and process acoustic signals from shots (breaks) and provide information about the location of the projectile rupture, the accuracy of the hit, as well as information about the location of the enemy artillery. The time to obtain the coordinates of a single target does not exceed 5 seconds. The use of such a complex seriously simplifies the conduct of the counter-battery struggle. Also in the framework of the R & D on the theme of the "sketch" were created pilot artillery installations:The 120-mm self-propelled phlox artillery gun mounted on the Ural wheeled chassis, the 120-mm self-propelled magnolia gun on the two-link crawler chassis for use in weak soils and in the Arctic, as well as the 82-mm self-propelled mortar Drock ”, Located on the Kamaz wheeled chassis. Installations were tested during 2018, the tests should have been completed before the end of the year. Brought in 2018 and the conclusion of contracts for the long-awaited news. So within the framework of the international military-technical forum "Army-2018" a contract was signed for the supply of two pre-series fifth-generation fighter Su-57. This is a long-awaited deal, which has been expected for several years. The first of the new aircraft should enter service with the Russian VKS as early as 2019. In addition, an agreement was signed on the supply of 6 new MiG-35 light fighters, which should be delivered to the military until 2023. No less expected was the announcement of a contract for the supply of 132 combat vehicles to the troops: the main battle tank (T-14) and the infantry fighting vehicle T-15, built on the basis of the promising heavy tracked platform "Armat". The armored vehicle is acquired in the framework of the experimental-military party, the execution of the contract is scheduled until 2022.The contract provides for the supply of two battalion sets of T-14 tanks and one battalion set of BMP T-15. Defense Minister Sergei Shoigu also spoke about the state of the armed forces. At a meeting of the public council at the Ministry of Defense of Russia on Monday, December 24, the minister stressed that the army this year reached an unprecedented level of equipment with modern weapons. “The share of modern weapons in military units and formations has reached 61.5 percent, we hope that in 2019 we will be able to reach the level of 67 percent, and by 2020 this share will be increased to 70 percent. In total, we have already received more than 1.5 thousand models of weapons and more than 80 thousand units of equipment. This is a huge number " - noted Sergey Shoigu. According to him, such a level of modernity is not present today in any army in the world. According to the press service of the Ministry of Defense of the Russian Federation, on December 24, 2018, the Public Council under the Ministry of Defense of the Russian Federation and the leadership of the military department discussed the results of the joint work in 2018 and the road map for the next year. Also, the Minister of Defense of the Russian Federation, Sergei Shoigu, spoke about the staffing of the Armed Forces with modern weapons and personnel. “In total, we received over 1,500 armaments and more than 80,000 pieces of equipment. This is a huge number. In general, we are 61.5 percent in terms of modernity. This level of modernity is not peculiar or is not present in any of the armies of the world today, ”explained Sergey Shoigu. “We hope to reach the current level of 67 percent in 2019, and 70 percent in 2020,” added the Minister of Defense. According to him, “the task that was initially set during the preparation and implementation of the state armaments program for 2010-2020 is being carried out according to plan”. Referring to the staffing of the Armed Forces, the Minister of Defense noted that they had now reached the optimal level of conscripts, he will continue, roughly, until 2025. “Because we need not only a mobilization resource and its preparation, but we also need those who will fulfill their civic duty, to undergo appropriate training and education,” explained Sergey Shoigu. At the same time, Sergei Shoigu said that “an army that fights for money is probably not entirely correct, we still need to have both a soul and a sense of pride not only for the army, but also for our country”. He also noted that in the Armed Forces "such a thing as a draft campaign has practically disappeared, now it is just a call." “We don’t arrange any campaigns from this, everything goes according to plan,” noted Sergey Shoigu. He said that the level of manning of troops with military personnel serving under the contract, brought to 95 percent. About the Author: Alexander Anatolyevich Khramchikhin - Deputy Director of the Institute for Political and Military Analysis. The armies of the Russian Empire, the USSR and the Russian Federation shed a lot of blood in the mountains of the North Caucasus in battles with both internal and external opponents. Now here is almost a peaceful period. Albeit at the second attempt, but Russia won the war against the internal enemy (in Chechnya), and in 2008 she also defeated the external enemy, defeating Georgia (see “War 08.08.08 - afterword” - “NVO” of 08.08.18). Although the threat of radical Islam in the Caucasian republics of the Russian Federation has not been fully eliminated, now the Rosguard (former Internal Troops) and local police forces are coping with it. The most effective of them were just the Chechens, who not only very successfully suppress the radicals on their land, but also fight for Russia outside the country (for example, in the same Georgia, as well as in Syria). A powerful grouping of the Armed Forces of the Russian Federation has been deployed in the republics of the North Caucasus. It is based on the 58th Army with headquarters in Vladikavkaz. Its largest compound is the 42nd motorized rifle division deployed in Chechnya. It consists of the 70th motorized rifle regiment, the 71st motorized rifle regiment, the 291st motorized rifle regiment, the 50th artillery regiment, the 1203rd anti-aircraft missile regiment, several separate battalions and companies. The division has about 100 T-72B3 tanks, about 430 armored combat vehicles, 90 Gvozdika and Msta self-propelled artillery guns (SAU), Gvozdika and Msta, more than 50 mortars, 18 Grad rocket launchers, and more 30 Thor and Strela-10 anti-aircraft missile systems (ZRK) and the Tunguska anti-aircraft missile and gun systems (ZRPK). The 19th and 136th motorized rifle brigades and the 291st artillery brigade, which are armed with a total of about 80 T-72B3 and T-90A tanks, about 350 armored fighting vehicles of various types, more than 80 SAUs (including the number of 203 mm self-propelled guns “Pion”), about 40 towed and anti-tank guns, more than 40 mortars (including 240 mm self-propelled mortars “Tulip”), more than 40 MLRS “Grad”, “Tornado-G” and “Uragan” , more than 40 self-propelled ATGM “Shturm-S” and “Chrysanthemum-S”, up to 50 ZRK “Thor” and “Strela-10” and ZRPK “Tunguska”. The 12th missile brigade, formed in 2015, is deployed in Mozdok (North Ossetia) and is armed with 12 launchers (PU) of the Iskander operational tactical missile system (PTRK). And one of the batteries (2 PU) of the brigade is located in South Ossetia as part of the Russian 4th military base. In turn, the 67th anti-aircraft missile brigade includes four divisions of the Buk-M1 air defense system (in each division there are six launchers and three launch-loading installations). In addition, as part of the 58th Army, there are brigade control and reconnaissance, as well as an engineer-sapper regiment and regiment of radiation, chemical and biological protection (RCBZ). The latter is armed with three flamethrower RSZO TOS-1A "Sunpipek". A special forces brigade is also stationed in the region, which is directly subordinate to the command of the Southern Military District (SKR). In Mozdok, there is an airfield capable of receiving airplanes of any type and class, but on a permanent basis, no parts of the Russian Aerospace Forces in the republics of the North Caucasus are based. But in the Dagestan Caspian (satellite city of Makhachkala) is the main naval base (naval base) of the Caspian Flotilla. Its headquarters is currently located in Astrakhan, but will also be transferred to Kaspiysk. The ships that make up the main striking force of the flotilla are based here - two rocket ships of project 11661 (Tatarstan and Dagestan) and three small rocket ships of the project 21631 (Velikiy Ustyug, Grad Sviyazhsk, Uglich). At rather small sizes, they have a very powerful attack tool - Caliber missiles, which in 2015–2016 have already been used from the Caspian water area for targets in Syria. In addition, there are two old 12411T project missile boats in Kaspiysk, one of them (the Stupinets) in its “original” form, that is, the P-15 anti-ship missiles (PCR), and the second (MAK-160) - without PCR, used as a patrol boat. The landing forces are represented by six boats: the Ataman Platov of Project 21820, D-185 of Project 1176 and four boats of Project 11770 (D-56, D-131, D-156, D-172). The base command also has two base minesweepers of project 12650 (Magomed Hajiyev and German Ugryumov), a land mine sweeper RT-233 of project 10750 and an anti-diversion boat of project 21980. The 177th Marine Regiment is also stationed in Kaspiysk, with about 60 armored personnel carriers and more than a dozen SPGs in service, among other things. At the moment, the external threats in this region are almost absent in the classical form, although under certain circumstances Azerbaijan and, of course, Turkey (which, however, does not have a common border with the Russian Federation) can be opponents. The threat from Georgia for the foreseeable future has been eliminated, to parry it even with an excess of two Russian bases in Abkhazia and South Ossetia (see the “External shield of the Caucasus” - “NVO” of August 31, 18). Much more serious is the threat from radical Islamists, but in its reflection the role of the army is limited. Here we need the efforts of the special services, the Rosguards, as well as the bodies responsible for propaganda and ideology. We also need a real rallying of the Russian society, of all nationalities and denominations. In recent years, the situation in this regard has definitely improved, but the ideal, of course, is far (although the ideal is hardly at all possible). However, the Armed Forces of the Russian Federation are now very successfully fighting radical Islamists in Syria. The more success they achieve there, the less problems there will be in the Caucasus, the connection here is the most direct and immediate. I would like to hope that this military campaign, which at the moment can be considered outstanding (if we compare the forces involved, the losses incurred and the costs with the results achieved), will not become a victim of some petty politicking, internal and external. For the consequences will be extremely deplorable, and this will manifest itself in the first place in the Caucasus. Therefore, it is so important in this case to ignore the opinion of various “respected partners” abroad and hypocritical moans “would rather distribute this money to old people and children” in the country. The more confident the victory in Syria is, the better it will be for our old people and children, and the more polite and more attentive we will be to “dear partners” who understand only and exclusively force. Since the troops stationed in the republics of the eastern part of the North Caucasus were “front-line”, the groups in the Russian regions (territories and oblasts) of the North Caucasus region and the republics of its western part were considered their nearest rear. But now everything has changed. The threat from the south, as shown above, has decreased dramatically. But it originated from the opposite side, from the north-west of the Southern Military District. Now, the "front-line" steel units stationed in the Rostov region bordering with Ukraine, and the headquarters of the Southern Military District, located in Rostov-on-Don, suddenly found themselves near the front line. Due to the current situation, the 8th Army is currently being formed with its headquarters in Novocherkassk, the Rostov Region. Its basis will be the 150th Motorized Rifle Division, which is also in the formative stage. Currently, it includes motorized rifle, artillery and anti-aircraft missile regiments, armed with about 30 T-72B3 tanks, about 120 armored combat vehicles, more than 80 artillery systems, and also about 20 Tor-M2 air defense missile systems, Strela -10 "and ZRPK" Tunguska ". After the complete formation of its technology, of course, will become much more. The 8th Army also includes an anti-aircraft missile brigade with two divisions of the newest Buk-M3 air defense system, and in the future it will probably receive a missile brigade with the Iskander OTRK. For the time being, the basis of the ground forces grouping in the northern, western and central parts of the North Caucasus is the 49th Army with headquarters in Stavropol. It consists of eight brigades and three regiments. The 20th and 205th motorized rifles, the 34th motorized rifle mountain and 227th artillery brigades are armed with a total of more than 80 T-72B3 and T-90A tanks, about 430 armored fighting vehicles of various types, more than a hundred self-propelled and 152-mm towed guns, up to 50 mortars 2S12, more than 40 MLRS Grad, Tornado-G and Uragan, about 60 self-propelled Shturm-S anti-tank systems and anti-tank guns MT-12, up to 50 Tor-M1 / M2U anti-tank systems , Strela-10 and Tunguska. The 1st missile and 90th anti-aircraft missile brigades deployed in the Krasnodar Territory are armed with 12 Iskander launchers and the Buk-M2 air defense missile system (three divisions), respectively. Also in the army - the brigade of management and logistics, special forces regiments, engineering-sapper and RCBZ. The latter is armed with three flamethrower RSZO TOS-1A "Sunpipek". In addition, a significant number of other parts and connections are deployed in the region. In particular, ten brigades are directly subordinated to the command of the Southern Military District, including two special forces brigades, a MLRS brigade with Tornado-S (with one battery each, that is, two MLRS each) deployed in South Ossetia and Armenia) and zenith missile brigade with two divisions S-300V4. There is also an engineering brigade, two RCBZ brigades, a radio engineering brigade, a management brigade and a communications brigade. Two formations of the Airborne Forces of the Armed Forces of the Russian Federation are stationed in the North Caucasus. The 7th Airborne Division has the status of a mountain, its personnel, respectively, passes mountain training. The division consists of the 108th parachute, 247th air assault, 1141th artillery, 3rd anti-aircraft regiment, a number of individual battalions and companies. The headquarters and most parts of the division are deployed in Novorossiysk, and the 56th Air Assault Brigade is stationed in Kamyshin, Volgograd Region. In service, these units have about 20 T-72B3 tanks, more than 440 different armored combat vehicles, at least 100 artillery systems and a dozen Strela-10 air defense missile systems. The region also has a large group of the Russian Aerospace Forces. The 1st mixed aviation division of the Southern Military District includes four regiments: the 559th bomber, the 3rd and 31st fighter, and the 368th assault. The division has more than 30 Su-34, about 20 Su-25SM and about 60 Su-30SM / M2 and Su-27, as well as other aircraft. In turn, as part of the 4th mixed air division of the Southern Military District, there are two regiments: the 11th air regiment (it has 12 Su-24M bombers and Su-24MR reconnaissance aircraft) and the 960th assault air regiment (approximately 20 Su-25SM / UB ). The Southern Military District also has the 16th brigade and the 55th and 487th regiments of army aviation, which are armed with about 80 combat helicopters Mi-28N, Mi-35M and Ka-52, as well as up to 40 multipurpose Mi-8 various modifications . The 30th Military Transport Regiment, which has two Il-20M electronic reconnaissance aircraft, 15 An-12, An-26 and An-148 military transport aircraft, as well as 8 heavy Mi-26 transport helicopters, also belongs to the Southern Military District. The headquarters of the military transport aviation is subordinate to the 708th military transport air regiment from Taganrog, which has 21 military transport IL-76s (another five are in storage). The Krasnodar Aviation School, which includes five training air bases, is directly subordinate to the command of the Russian Aeronautical Space Command, and the 929th State Flight Test Center is located at the Akhtubinsk airfield of the Astrakhan Region. Chkalov, which includes up to 50 aircraft of various types. The 51st Air Defense Division, subordinated to the command of the Southern Military District, includes three anti-aircraft missile regiments: the 1536th (three S-300PM divisions), the 1537th (two S-400 divisions) and the 1721st (two Buk-M1 divisions) ). The last regiment was formed specifically to ensure the safety of the 2014 Olympic Games. During the period when Crimea was part of Ukraine, there was a serious threat that the Black Sea Fleet (BSF) would have to be completely withdrawn from Sevastopol. Therefore, in the mid-2000s, construction began on the Novorossiysk naval base, which is now close to completion. Although there is no threat of losing Sevastopol now, the importance of Novorossiysk as a naval base even increased. First, it provides the defense of the Caucasian coast of Russia. Secondly, to a large extent through it is the supply of the Crimea. Thirdly, it is from Novorossiysk, from the mainland of the Russian Federation, that the “Syrian express” operates, that is, large landing ships and auxiliary vessels of the Russian Navy are being flown with cargoes for the Syrian armed forces and the Russian grouping in this country. At present, all submarines of the Black Sea Fleet are assigned to the Novorossiysk naval base: one of the project 877 (Alrosa, under repair) and six projects 06363 (Rostov-on-Don, Novorossiysk, Stary Oskol, Krasnodar, Veliky Novgorod "and" Kolpino "). However, they are all based in Sevastopol most of the time. In Novorossiysk, there are ships that solve the tasks of the direct defense of the naval base: three small anti-submarine ships of the project 1124M (Povorino, Yeisk, Kasimov), the lead patrol ship of the project 22160 Vasily Bykov, three sea minesweepers (Zheleznyakov) of the project 12660, Valentin Pikul Project 266M and Vice-Admiral Zakharyin Project 02668), basic trawlers of Project 12650 Lieutenant Ilyin and Mineralnye Vody, raid minesweepers of projects 1258 (RT-46) and 12592 (RT-278), as well as three amphibious and seven anti-sabotage boats. The 11th coastal defense missile brigade, stationed near Anapa, is the only one in the Russian Navy that is armed with a battery of six 130-mm self-propelled guns Bereg. We have nowhere and, apparently, no more coastal artillery. Also in the brigade - one division (4 PU) anti-ship missile system (SCRC) "Ball" and two divisions (8 PU) SCRC "Bastion". In Astrakhan, as already mentioned, the headquarters of the Caspian flotilla is still located, and water protection forces are deployed there: three small artillery ships of project 21630 (Astrakhan, Volgodonsk, Makhachkala), four project 1204 armored carriers (AKA-201 , 209, 223, 248) and three landmine minesweepers (RT-234 of project 10750, RT-59 and RT-181 of project 697TB). In May 2018, AKA-201 and AKA-248 crossed into the Sea of ​​Azov. In general, the former North Caucasian Military District, which formed the basis of the current South-Eastern Military District, is now very well pumped up, radical measures are not yet needed for its further strengthening. Chief of the General Staff of the Armed Forces of the Russian Federation, Army General Valery Gerasimov, spoke at the general meeting of the Academy of Military Sciences. It was held in the format of a military-scientific conference dedicated to the development of military strategy in modern conditions. The meeting was opened by the President of the Academy of Military Sciences, Army General Makhmut Gareyev. The conference participants - members of the Academy of Military Sciences, senior officials of the Russian Defense Ministry, representatives of the Presidential Administration, the State Duma and the Federation Council, as well as leading scientists of the Russian Academy of Sciences, universities and research organizations of the military department - discussed the nature of future wars, armed conflicts and actual problems in the field of defense. A report on the main directions of the development of military strategy and the tasks of military science was made by the Chief of the General Staff of the Armed Forces of the Russian Federation - First Deputy Minister of Defense of Russia, Army General Valery Gerasimov. His report, we bring to the attention of readers. - Traditionally, the annual conference of the Academy of Military Sciences, is a platform for exchange of views of military experts on the most pressing and topical issues of military science. The results of the conference essentially determine the future directions of its development, as a result of which they are always widely discussed both in Russia and abroad. This year we are considering the development of military strategy in modern conditions. Military strategy as a science "... the art of driving troops" originated at the beginning of the last century and developed based on the study of the experience of wars. In general, the strategy is "... a system of knowledge and action for the prevention, preparation and conduct of war." At present, wars are expanding and their contents are significantly changing. The number of subjects involved in the armed struggle is increasing. Along with the armed forces of sovereign states, various gangs, private military companies and self-proclaimed "quasi-states" are fighting. The means of economic, political, diplomatic, informational pressure, as well as the demonstration of military power in the interests of enhancing the effectiveness of non-military measures are being actively used. Military force is used when it is not possible to achieve the goals set by non-military methods. Meanwhile, Russia's geopolitical rivals do not hide the fact that they are going to achieve political goals not only during local conflicts. They are preparing to wage wars against a “high-tech adversary” using high-precision weapons from the air, sea and from space, with active information warfare. Under these conditions, our Armed Forces must be ready to conduct wars and armed conflicts of a new type using classical and asymmetric methods of action. Therefore, the search for rational strategies for waging war with various adversaries is of paramount importance for the development of the theory and practice of military strategy. We need to clarify the essence and content of military strategy, the principles of preventing war, preparing for war and its conduct. It is necessary to further develop the forms and methods of using the Armed Forces, primarily in strategic deterrence, as well as improve the organization of state defense. In the course of its development, the military strategy went through several stages of evolution - from the "strategy of crushing" and the "strategy of dying" to the strategies of "global war", "nuclear deterrence" and "indirect actions". The United States and its allies have defined the aggressive vector of their foreign policy. 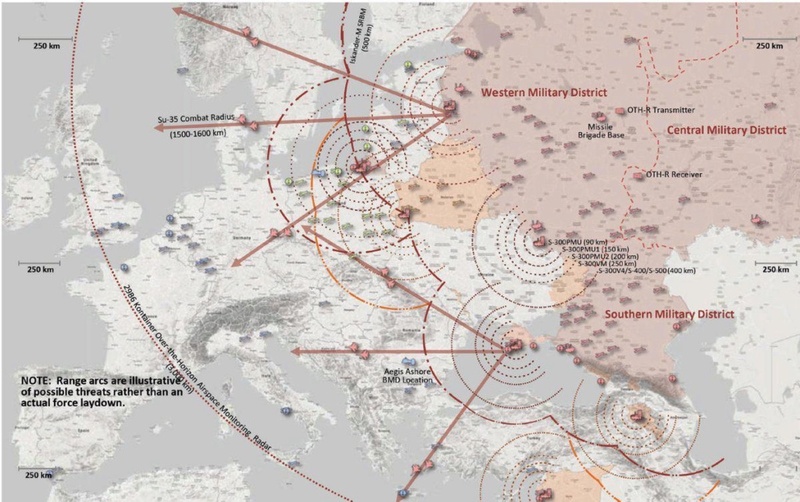 They are developing offensive military actions, such as “global strike”, “multi-sphere battle”, using the technology of “color revolutions” and “soft power”. Their goal is the elimination of the statehood of unwanted countries, the undermining of sovereignty, the change of lawfully elected bodies of state power. So it was in Iraq, in Libya and in Ukraine. Currently, similar actions are observed in Venezuela. The Pentagon has begun to develop a fundamentally new strategy of warfare, which has already been dubbed the "Trojan Horse". Its essence lies in the active use of the “protest potential of the fifth column” in the interests of destabilizing the situation while simultaneously attacking the WTO on the most important objects. I would like to note that the Russian Federation is ready to oppose any of these strategies. In recent years, military scientists, together with the General Staff, have developed conceptual approaches to neutralize the aggressive actions of potential adversaries. The basis of "our response" is the "active defense strategy", which, given the defensive nature of the Russian Military Doctrine, provides for a set of measures to proactively neutralize threats to the security of the state. It is the justification of the measures being developed that should constitute the scientific activities of military scientists. This is one of the priority areas of state security. We must be ahead of the enemy in the development of military strategy, go "one step ahead". In Syria, for the first time, a new form of the use of formations of the Armed Forces was developed and tested in practice - a humanitarian operation. The development of strategy as a science should cover two areas. This is the development of a system of knowledge about war and the improvement of practical activities for the prevention of war, preparation for it and its conduct. The area of ​​military strategy research is the armed struggle, its strategic level. With the emergence of new areas of confrontation in modern conflicts, the methods of struggle are increasingly shifting towards the integrated use of political, economic, informational and other non-military measures implemented with reliance on military force. Still, the main content of military strategy is made up of the issues of preparation for war and its conduct, primarily by the Armed Forces. Yes, we take into account all other non-military measures that affect the course and outcome of the war, provide and create the conditions for the effective use of military force. At the same time, it should be understood that the confrontation in other areas represents separate areas of activity with its “strategies”, ways of action and corresponding resources. In the interest of achieving a common goal, we must coordinate them, rather than direct them. The strategy should be engaged in predicting the nature of future wars, developing new “strategies” for their conduct, preparing the state and the Armed Forces as a whole for war. In this regard, it is necessary to update the list of research tasks, complementing them with new areas of scientific activity. Of course, the work in these areas of military strategy should be headed by the Military Academy of the General Staff, together with the Academy of Military Sciences. For more effective study of issues, it is necessary to involve all scientific organizations of the Ministry of Defense, the scientific potential of interested federal executive bodies. As practice shows, problematic issues should be discussed at scientific conferences, considered during round tables. Only in this case will they bring new results in the field of the theory and practice of military strategy. With the changing nature of war and the conditions of its preparation and conduct, some principles of strategy cease to apply, others are filled with new content. The principle of preventing war is to anticipate the development of the politico-military and strategic situation in the interests of the timely identification of military dangers and threats and the timely response to them. The principles of advance preparation of the state for war are ensured by constant high combat and mobilization readiness of the armed forces, as well as the creation and maintenance of strategic reserves and reserves. In modern conditions, the principle of warfare has evolved based on the coordinated use of military and non-military measures with the decisive role of the Armed Forces. The principle of achieving surprise, decisiveness and continuity of strategic actions is still relevant. Acting quickly, we must preempt the enemy with our preventive measures, promptly identify its vulnerabilities and create threats of unacceptable damage to it. This ensures that the strategic initiative is captured and held. Work on clarifying the existing and justifying new principles should continue with the consolidation of the efforts of the entire scientific community. It is necessary to formulate principles of a general universal character and principles of action with reference to a concretely evolving situation. Such are the main directions of development of the theoretical positions of military strategy. However, as the great Russian commander Alexander Vasilievich Suvorov said: “The theory without practice is dead ...”, which is why it is impossible to imagine the practical activity of a military strategy without its scientific substantiation. The fundamental basis for the practical activity of the strategy is the creation of a system for the study of forecast scenarios for the unleashing and management of military conflicts. It is a reasonable forecast of scenarios of possible conflicts that serves as the initial data for the development of forms and methods of using the Armed Forces. At present, a rational system of forms for using the Armed Forces, in which strategic deterrence is an important part, has been theoretically worked out and practically confirmed. Today, Washington continues the policy of expanding the system of military presence directly at the borders of Russia, the destruction of the system of contractual relations on arms limitation and reduction, which leads to a violation of strategic stability. So, in 2002, the United States unilaterally withdrew from the Treaty on the Limitation of Anti-Ballistic Missile Defense Systems. Their next step after a demonstrative suspension of participation in the Treaty on the Elimination of Intermediate-Range and Shorter-Range Missiles may be the refusal to extend the Strategic Arms Reduction Treaty-3. Recently, the Pentagon has repeatedly declared its intention to use outer space for military purposes. For this, a new branch of the military is being formed - space troops, which creates prerequisites for the militarization of outer space. Ultimately, all these actions can lead to a sharp exacerbation of the military-political situation, the emergence of military threats, to which we will have to respond with mirror and asymmetric measures. Military science needs to develop and justify a system of complex destruction of the enemy. As a result, the urgent task of developing a military strategy is to justify and improve nuclear and non-nuclear deterrence measures. Any potential aggressor must understand that any form of pressure on Russia and its allies is hopeless. Our answer is not long in coming. For this purpose, modern models of weapons, including fundamentally new types of weapons, are being commissioned and deployed. Began mass production of new types of weapons and equipment of the Armed Forces. Avangard, Sarmat, the newest weapon Peresvet and Dagger have shown their high efficiency, they successfully pass tests of the Poseidon and Burevestnik complexes. There is a planned work on the creation of a sea-based hypersonic zircon rocket. There is no doubt that we are confidently leading in this area compared to the technologically advanced countries of the world. Thus, it was decided to conduct scientific and design work on the development of ground-based complexes of hypersonic medium and shorter-range missiles. The creation of new types of weapons will not drag Russia into a new arms race. A sufficient number of new complexes to contain will be created within the framework of the planned military budget. The policy pursued by our western partners forces us to “respond to the threat of creating a threat”, plan in the future for strikes against decision-making centers, as well as launchers that allow for the operational use of cruise missiles at facilities in Russia. Military scientists should step up research on the search for and introduction of new methods of using advanced weapons, as well as substantiating the forms of counteraction to possible military actions of a potential enemy in space and from space. Syrian experience has an important role in the development of the strategy. Its generalization and implementation allowed us to single out a new practical area - the fulfillment of tasks for the protection and promotion of national interests outside the territory of Russia within the framework of the “strategy of limited actions”. The basis for the implementation of this strategy is the creation of a self-sufficient group of troops (forces) based on the formations of one of the branches of the Armed Forces, which has high mobility and is able to make the greatest contribution to the solution of the tasks. In Syria, this role is assigned to the formations of the Aerospace Forces. The most important conditions for the implementation of this strategy is the conquest and retention of information superiority, which is ahead of the readiness of management systems and all-round support, as well as the covert deployment of the necessary grouping. We got a rationale for new methods of action of troops during the operation. The role of the military strategy was to plan and coordinate joint military and non-military actions of the Russian group of troops (forces) and formations of the armed forces of the interested states, militarized structures of the countries participating in the conflict. Received post-conflict settlement. In Syria, for the first time, a new form of the use of formations of the Armed Forces was developed and tested in practice - a humanitarian operation. In Aleppo and East Guta, in a short time, it was necessary to plan and carry out measures to remove the civilian population from the conflict zone simultaneously with the execution of combat tasks to defeat the terrorists. The results achieved in Syria made it possible to identify relevant areas of research on the use of the Armed Forces in the course of fulfilling the tasks of protecting and advancing national interests outside the national territory. Forms of use of groups of troops (forces) in the framework of the "strategy of limited action"
One of the directions of strategy development is associated with the creation and development of a unified system of integrated forces and means of reconnaissance, destruction and command of troops and weapons on the basis of modern information and telecommunication technologies. It is designed to detect, issue target designation and deliver selective strikes on critical objects in a time scale close to real, strategic and operational-tactical non-nuclear weapons. In the future, military science must develop and justify a system of complex destruction of the enemy. The next direction is connected with the large-scale use of military robotic complexes, primarily unmanned aerial vehicles, to increase the efficiency of solving a wide range of tasks. Another direction was the creation of a system to counter the use of unmanned aerial vehicles and precision weapons. Here the decisive role was played by the forces and means of electronic warfare, which provided the opportunity for selective influence, based on the type of object, its structure, time criticality. The task of military science in this area consists primarily in the scientific elaboration of the issues of creating a strategic system for countering unmanned aerial vehicles in the Armed Forces of the Russian Federation and substantiating promising strategic electronic warfare systems and integrating them into a single system. I would stress that digital technologies, robotization, unmanned systems, EW - all this should be on the agenda of the development of military science, including military strategy. One of the characteristic features of modern military conflicts is the destabilization of the internal security of the state by the conduct of sabotage and terrorist activities by the enemy. That is why the elaboration and improvement of the territorial defense system, its structure, ways of building, substantiating the complex of measures for its constant readiness is an important direction in the development of military strategy and the task of military science. At present, we have a lot to do to implement measures of a military and non-military nature carried out by ministries and departments in the interests of state defense. At the same time, it is necessary to continue the elaboration of issues of coordination of actions of the federal executive bodies, the distribution of their powers, and the management of territorial defense tasks during an escalation of the military threat and in the event of crisis situations. Particularly relevant is the rationale for creating an integrated system to protect critical infrastructure of the state from exposure in all areas during the immediate threat of aggression, when the enemy will seek to destabilize the situation, create an atmosphere of chaos and uncontrollability. This question is new in the theory and practice of military strategy and is subject to comprehensive scientific study. The result of the work should be theoretical positions, and in practice the developed system of joint use of multi-departmental forces and means to ensure integrated security. Until recently, military science investigated the use of the Armed Forces in the traditional areas of warfare - on land, in the air and at sea. An analysis of the nature of modern wars has shown a significant increase in the importance of such an area of ​​confrontation as the information one. A new reality of future wars will consist in the transfer of military actions in this particular sphere. At the same time, information technologies are becoming, in fact, one of the most promising types of weapons. The information sphere, without having clearly defined national borders, provides opportunities for remote, covert influence not only on critical information infrastructures, but also on the population of the country, directly affecting the state’s national security. That is why the study of issues of preparation and conduct of informational actions is the most important task of military science. Federation It is determined by the size and composition of the Armed Forces of the Russian Federation, their staffing and technical equipment, moral and psychological condition, level of training, combat readiness and combat capability of troops and forces. At present, a program is being planned for the recruitment of the Armed Forces of the Russian Federation to contract servicemen. By the end of 2025, their number will reach 475,000 troops. At the same time the need for conscription of citizens for military service will be reduced. Today the officer corps of the Armed Forces is staffed with trained professional personnel. All military commanders of military districts, combined arms, air force and air defense units, as well as 96 percent of the commanders of combined-arms units and formations, have combat experience. All types and types of troops of the Armed Forces of the Russian Federation are developing in a balanced manner, being timely equipped with modern types of weapons. The nuclear triad, which plays a key role in preserving strategic parity, has noticeably strengthened. The share of modern weapons of our nuclear component has reached 82 percent. The level of operational and combat training of troops and military command bodies has noticeably increased. Their capabilities change dramatically. Sudden readiness checks confirmed the ability of troops and forces to promptly redeploy formations and units over long distances, to reinforce groups in strategic areas. Traditionally, an important direction is the improvement of the system of ideological, moral and psychological stability of the population, and first of all, the military. It was for this purpose that the system of military-political work was recreated in the Armed Forces. An important direction in the development of military strategy and the task of military science is the search for new approaches to the development of links between military strategy and the economy. In the interests of preparing the country's economy for solving defense tasks, the strategy is designed to answer the following questions. For what possible war and in what directions to prepare the economy? How to ensure its vitality, stability? How is it more expedient to place the objects of the economy taking into account their protection? The thesis of the classic of the national military strategy of the brigade commander Alexander Svechin “The economy will be able to subjugate the nature of military actions”, expressed by him almost 100 years ago, became an objective reality. I will note that at present, much has been done by the joint efforts of the Ministry of Defense and the military-industrial complex. First of all, an effective interaction system was built. Based on the analysis of the experience of military operations, research organizations participate in the formation of requirements for armaments and control their implementation at all stages of development, from the draft to the state tests. Thus, military science on the basis of the forecast vision of future wars determines what should be the promising models of weapons and military equipment. At the same time, military scientists are proactively conducting research to justify the forms and methods for their use. The complexity of modern weapons is such that it is unlikely to be able to adjust its production in a short time with the start of hostilities. Therefore, everything necessary must be issued in the required quantity and enter the troops in peacetime. We must by all means ensure technical, technological, and organizational superiority over any potential adversary. This requirement should be the key when setting targets and before the defense industry to develop new types of weapons. This will allow enterprises to conduct long-term planning, and scientific organizations will receive guidelines for the development of basic and applied research in military science. The main thing today for military science is that it is ahead of time in practice, continuous, purposeful research to determine the possible nature of military conflicts, to develop a system of forms and methods of actions, both military and non-military, to determine the development directions of weapons systems and military equipment. It is extremely important to promptly introduce the results of fundamental and applied research into the practice of the troops. The solution of these tasks is entrusted primarily to the military-scientific complex of the Armed Forces. In recent years, the military-scientific complex has achieved some success. Thus, as part of the research work assigned by the General Staff, an initial data system was prepared for military planning for the next medium term period (for 2021-2025). It is the basis for the refinement and development of documents of the National Defense Plan for the new period. Our military science has always been distinguished by the ability to see and reveal problems at the stage of their appearance, the ability to quickly work them out and find solutions. Defeating the Pentagon’s Trojan Horse! Military Academy Exposes “Color Revolution” Technology! The Armed Forces of the Russian Federation set about creating a sovereign Internet. The closed digital information exchange system has already received the name - Multiservice Transport Communication Network (MTCC). The first phase of work will be completed by the end of 2019, and it will be fully ready in two years, the Defense Ministry told Izvestia. The MTCC will have its own search engine, and for its independent operation, the military will lay a fiber-optic cable through the Arctic. According to experts, the experience of creating such a system is useful in the formation of a national network. On a par with the protected Russian segment of the World Wide Web, the project for the creation of which is now being discussed, the ITCC should ensure the electronic security of the country, say eexperts on cyber security. Traffic will be monitored by a special government structure. Former presidential adviser German Klimenko believes that network monitoring is an important thing. According to him, this state initiative is justified - it is necessary to understand how, within the framework of a huge country, to monitor the traffic flow map within Russia. The press service of the telecommunications company TransTeleCom believes that the innovations will make it possible to combat the "gray schemes" of traffic through the state border by operators registered, including in the near abroad. - According to our data, against the background of the existence of such non-transparent business organization models, Russian operators annually lose more than 375 million rubles. As a result, the budget loses the corresponding tax deductions, the company said. - Of course, we must create such segments that do not depend on anyone. This is completely obvious. And technologically, of course, the same can be done, said the head of state. - The more sovereignty we have, including in the digital sphere, the better. And this is a very important area. It is worth noting that the main declared goal of creating a center is to ensure the integrity and security of public communication networks. This is due to the existence of potential threats to information security that may affect the operation of the channels of cellular operators. letmme guess deep packet inspection inclusive? A good way to minimize future losses is to strike preemptively- i.e. move the borders like in 1939, create wide security/buffer zones, & install/support friendly regimes there. Taking of Crimea, support of Donbass & Syria, integration with Belarus r part of that strategy. waters but have them in shallow waters such as the North Sea, the Hibernia zone off Newfoundland and now the Siberian shelf. Russia's EEZ no matter how much Congress chimps and their fake stream media mouthpieces wish it. For a lack of a better thread... South Koreans rank the technology of the Russian Military tied for second in the world with France. The South Korean Agency for the Control of Technology and Quality of Defense Products assessed the level of development of military technologies in different countries. According to the results of the study report was published. The rating, compiled by South Korean experts, was published by the Yonhap news agency. Topped the list of the United States (100). The second place was taken by France (90) and Russia (90) - according to researchers, both countries are at the same level and only slightly inferior to the United States. Further downward are Germany (89), Great Britain (89), China (85), Japan (84), Israel (84), South Korea (80) and Italy (80). India (73), Canada (73), Spain (70), Australia (68) and Brazil (63) round out the top countries. The report's authors believe that their country was able to rise in the ranking due to the modernization of the self-propelled howitzer K9 Thunder and the development of guided ground weapons. Recall that in 2018, according to the results of the Global Firepower study, the Russian armed forces took second place in the ranking of the strongest armies in the world. And they base this ranking from....? Neither France nor US have Hypersonic weapons, or active lasers. Not a terrible ranking... I guess. The problem is of course that France's defence industry is smaller in scale and less self-sufficient overall than the MICs of US, Russia, and increasingly, China. I would put USA last one. With their thousands of billions of dollars invested in their MIC they are still not developing anything that is way better than others. M1A2 is behind Leclerc and leopard. F-16/15/18/35 has nothing better than a rafale f4. Arleigh burkes are outdated compared to Horizon class. European missiles are far better than US ones. Europeans and russia are better than US. in Russia. Of course, the Devil is in the details and once you read these reports you see that they have no substance. HPC microprocessors, so they are obviously garbage". And other gems of fanboi masturbation. Who gets 100 points in the ranking?